A landscape architecture student works using studio equipment that will be replaced through support of Adopt-a-Studio. Photo by Andrea Laborde Barbier. 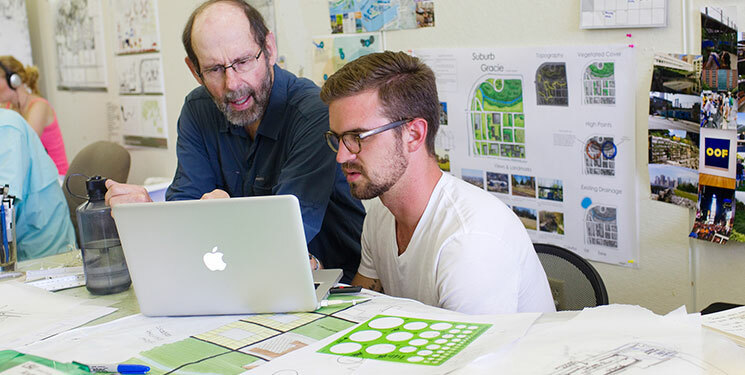 Over the next two years, LSU’s Robert Reich School of Landscape Architecture will get a facelift. The school’s recently launched Adopt-a-Studio invites alumni (with a focus on recent graduates) to help update the studio spaces where they once honed their own art and design skills. The school is reaching out to alumni who have graduated within the past decade for modest donations. These alumni, who are likely to remember the declining state of the studio equipment, will be offered giving levels associated with tangible deliverables to help them visualize what they are building for future students. “Any chance we get to engage our recent grads in the growth of our school is a moment to feel passionate about,” said Cantrell. Cantrell shared that this program will engage young alumni by providing them with a clear understanding of exactly where their money is going, and is important to provide updated studio furnishings and equipment. The program will include class challenges for these “Graduates of the Last Decade,” as the school has named the alumni, encouraging friendly competition among the classes. Which class year will raise the most funds?